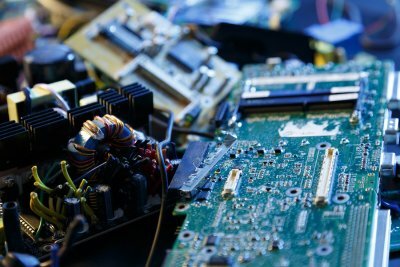 Why Should You Recycle Electronics? In today’s digital age, our electronic devices are constantly evolving and adapting to include new features and hardware. 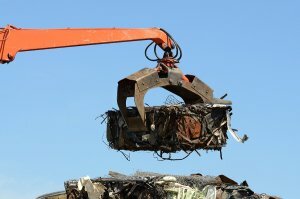 When you are ready to dispose of a computer, cell phone, or other electronic device, think twice before you toss your item into the dumpster. A company that offers recycling serving Atlanta can help you recycle all of the e-waste that is generated by your home or business. Electronic recycling bins are designed to safely house electronic waste until it can be processed at a designated facility. Let’s review why recycling is so important when you are getting rid of your old electronics. One reason that e-waste recycling is so important is that your old, outdated electronic items may contain valuable materials that can be used in various industries. Cell phones, computers, and other electronics are filled with precious metals that have been mined out of the earth. Rather than depositing these materials in the trash, you can give them new life by sending them to a recycling facility. Our landfills are quickly getting filled up with electronic waste, along with many other types of items. By recycling, rather than tossing, your electronic waste, you can help to conserve the limited space that is still available in our country’s landfills. Since computers and other devices are made out of non-biodegradable materials, they will not be able to decompose after they have been thrown in the trash. Along with their precious metals and other valuable materials, electronic items often contain large amounts of toxic substances. After an electronic device is tossed in the trash, its toxic components will start to leech into the surrounding environment. A main component of the e-waste recycling process is to safely remove and dispose of any toxic chemicals or substances. When you take the time to donate your old electronics to a dedicated recycling facility, you can rest assured that you are doing your part to protect the planet from pollution. Everyone has to do something with the waste near Atlanta that they generate, or it will continue to pile up. Without trash pickup services, the aesthetic appeal inside and outside of your building may be at risk. Unfortunately, there are many other potential hazards in addition to reduced cosmetics. 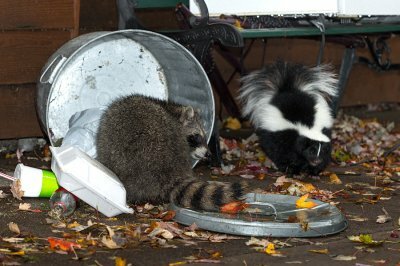 When waste piles up, it may ultimately attract pests. These pests are eyesores in themselves and can turn people away from your home or your place of business, and they can even spread disease to your family or your customers. Continue reading if you’re interested in exploring the dangers of trash. The curb appeal of a home or business place can impact the overall appearance of the neighborhood, which means everyone in the community may be concerned. If you allow waste to pile up on your property, keep in mind that you might be bringing down your neighbors’ property values. Some people let waste build up inside their buildings, which can also be detrimental. This will take away from the interior design scheme that you’ve worked so hard on, and it can reduce the overall value of your property. If you want to preserve your curb appeal, it’s a good idea to develop a waste management plan. If you know anything about pests, you know that they tend to show up when there’s a bunch of waste around. Neglecting your trash can serve as a warm welcome for all kinds of bugs, rodents, and pests, and they will further take away from the curb appeal of your house or business. Even if the waste problem is outside, the pests that it attracts may very well find their way in. Waste buildup and pest problems aren’t just aesthetic issues—both of these problems can actually be harmful to your health. The pests that come to check out your waste can spread disease through bites and physical contact as well as traces of urine and feces left behind. Make sure you establish a viable waste management plan to keep your space free of disease. If you are a restaurant owner, then you are aware of the incredible amount of food waste that can be produced in this type of commercial environment. If you feel frustrated with the amount of waste and the high costs of waste disposal that you deal with at your establishment, then you can benefit from learning about what you can do about your restaurant waste near Atlanta. The first step in developing a better waste management system is to reduce the amount of waste produced. To do this, begin taking a regular inventory of items that are frequently thrown out so that you can develop a better system for using the ingredients efficiently and purchasing only as much as you will use. Next, consider your options for disposing of the food waste other than tossing it in the dumpster. There is a wide range of items accepted by food banks that may include some of what you regularly toss out. Also, you can donate your food scraps to local farms or animal sanctuaries, where they can be used to feed animals. Finally, learn if there is a composting system in place in your area that accepts restaurant waste for recycling. Recycling systems offer business owners a simple and smart way to reduce their company’s operational costs and carbon footprint. Does your business practice plastic recycling near Atlanta ? If so, then watch this video to get a glimpse of how this material is recycled. Once the plastic reaches the recycling facility, it is first run through a shredder, which helps release any liquid left behind in plastic bottles. Then, the shredded pieces are packaged and shipped around the world. While plastic recycling is frequently used to make more plastic bottles, it can also be part of the process for creating polyester. Rather than throwing the paper that your business uses into your regular dumpster, you should have it sent to a recycling center so that it can be recycled and used again. Watch this video to see how paper recycling serving Atlanta is done. A large percentage of the waste that your company creates everyday comes in the form of paper. From computer paper and photocopies to junk mail and newspapers, there are many different types of paper that can be hauled to a recycling center once you are done with them. By recycling your paper waste instead of throwing it into dumpsters, you can keep paper out of local landfills and allow for a paper recycling plant to turn it into recycled paper that can be reused. Food waste in Atlanta is a serious and ongoing issue. The hospitality industry generates a great deal of food waste, and implementing key waste reduction strategies can reduce much of that waste. If you work in the hospitality industry, you can work with your waste management company to reduce food waste, and you can also recycle necessary food waste at your local recycling center. 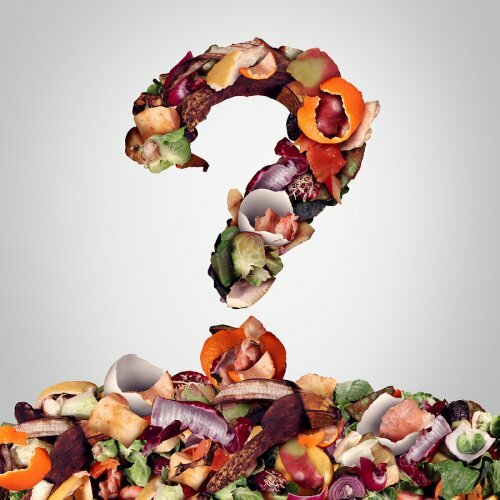 Watch this video for some important facts about food waste. After watching the clip, talk to your employees about implementing a zero waste initiative that will identify and reduce food waste, and help you develop more sustainable food processes. Waste management companies provide a variety of services that can help your business run more efficiently. For instance, you can rent a compacter, baler, or dumpster in Atlanta from your local waste management company. Compacters and balers can reduce both your labor and waste disposal costs, saving your company valuable time and money. A high-quality compactor reduces waste disposal by compacting trash and refuse, decreasing the amount of times you need to schedule trash pickup or waste removal. A baler compacts recycling materials on a larger scale, allowing you to reduce the space taken up by cardboard or scrap metal recycling. Companies can often sell commercial and industrial recycling materials once they have been compacted in a baler. With the use of compacters and balers, your company’s waste disposal process becomes more efficient, as your employees will need to make fewer trips to and from your dumpster or recycling bin. You will be able to decrease waste disposal costs, and may even be able to generate a new revenue stream by selling compacted recycling materials. Renting a compactor or baler from your local waste management company will reduce costs, and help you reuse and recycle materials.